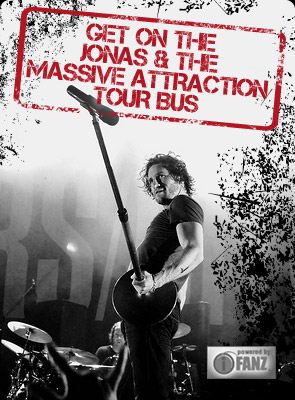 Jonas & The Massive Attraction are gearing up for the Western swing of their LIVE OUT LOUD Tour this week and make a quick stop in Toronto to perform their hit single “Breathing” on CTV’s Canada Am on Thursday, June 27th at 8:50 Am (EST). Get your PVR ready and check your local listing for a CTV station near you! “Breathing” is available on iTunes Canada at BUY NOW and the brand new studio album LIVE OUT LOUD is IN STORES NOW across Canada and on iTunes at BUY NOW.